The reversible Swisswool® Piz Boval Jacket for men was developed for high-action mountain sports where good insulation performance at a low weight is required. The 90g/m² lightweight lining is not only produced in an environmentally friendly way, but also has the advantage compared to down when it comes to warming, even when wet. In addition, wool can absorb and release larger quantities of moisture than synthetic fibers. Features such as the two front pockets on the multi-colored “wild side” provide plenty of storage space for equipment – or simply for warming your hands. You can store other small items safely in the inside pockets on the other side of the vest. The elastic seam and the ergonomic cut also ensure that the jacket offers an all-round good fit. 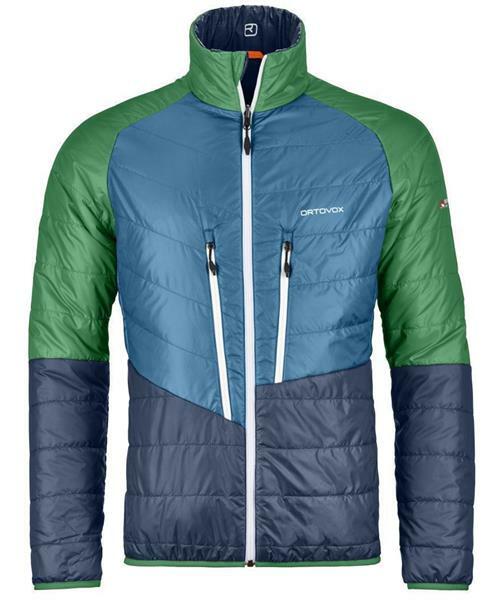 Swisswool Piz Boval Jacket - Mens is rated 5.0 out of 5 by 1.